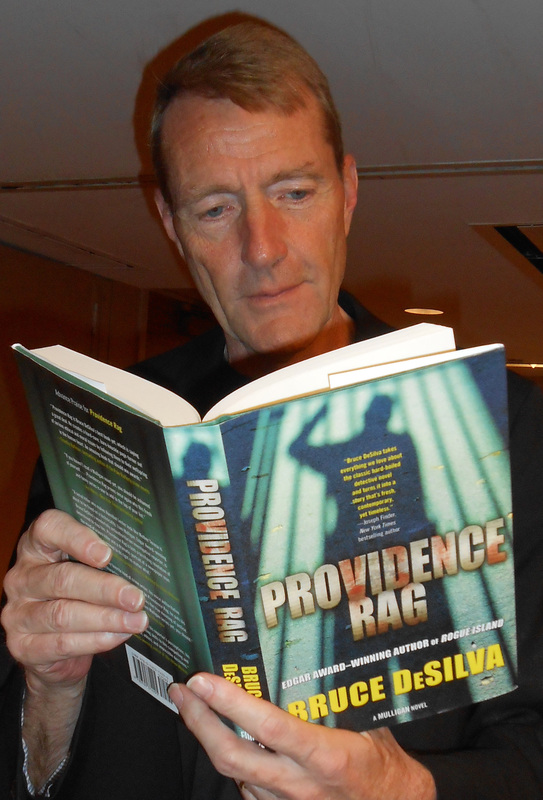 I’m honored that Providence Rag, the third book in my hardboiled crime series, is one of six finalists for this year’s Barry Award in the “best novel” category. The novel is the only book in the series inspired by a real crime, a serial killer case I covered when I was a journalist. On most days, it’s my favorite, although my editor thinks A Scourge of Vipers, is the best one in the series. The Mulligan novels have already won the prestigious Edgar and Macavity Awards and been finalists for the Shamus and Anthony Awards. And my first novel, Rogue Island, has also been a finalist for the Barry. Sponsored by Deadly Pleasures Magazine, the Barry ward will be presented next week at the big Bouchercon crime conference in Raleigh. The Mulligan novels have received rave reviews in The New York Times, Publishers Weekly, The Washington Post, and a host of other publications. You can order any of the books in the series from independent or chain online bookstores by following this link. This entry was posted in Uncategorized and tagged A Scourge of Vipers, barry award, Bouchercon, Deadly Pleasures Magazine, edgar award, Greg Iles, hardboiled, Lee Child, Mulligan, Providence Rag, Reed Farrel Coleman, Rogue Island, serial killer. Bookmark the permalink.